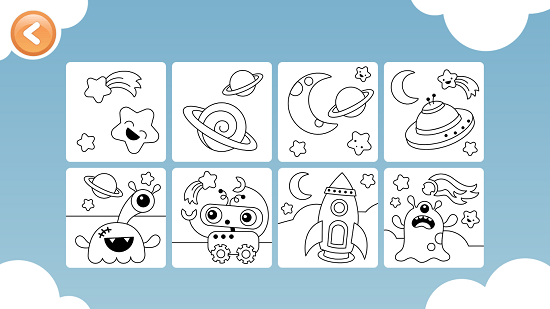 Toonia Colorbook is a free coloring app for kids designed for Windows 8 and 8.1. 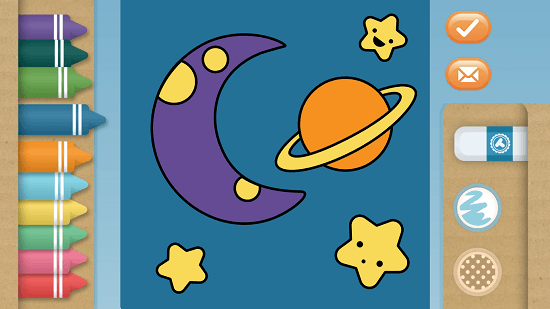 The app has lots of blank canvases of various figures that kids can color into. The app is very lightweight and has a large collection of free as well as paid for levels. The game makes for a great download in homes where kids are present. 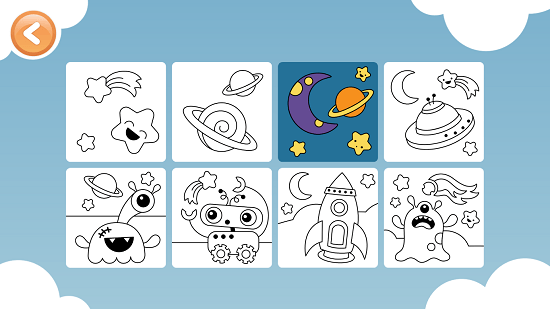 Kids will have a lot of fun while using the app and coloring inside the blank spaces is as easy as selecting the color from the left side of the screen and then clicking and moving around the cursor in the blank spaces. The app also has an eraser tool built in, which allows you to erase the errors that you make, if any. 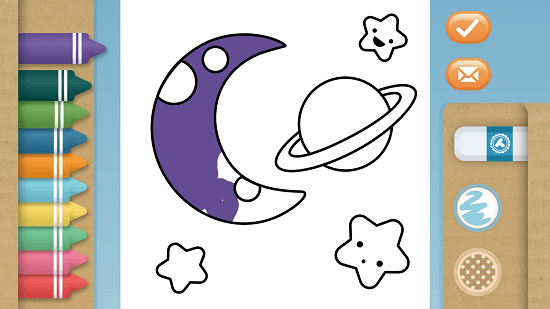 Toonia Colorbook is available freely from the Windows App Store. When you run the app, you will see the below screen. Simply click on the white cloud of figures and you will be taken to the canvas selection screen. Selecting a canvas opens it up in a full screen view, with a nice animation effect. The blank canvas can then be colored by selecting the color from the left side of the screen by tapping (on touch devices) or clicking on the color and then moving your finger or clicking and dragging your mouse over the blank canvas. You can see the coloring in process in the screenshot below. The colors are at the left and the fine tuning tools like eraser and point thickness selection tools are at the right. You can click on the tick button once you have colored the canvas. After clicking on the colored canvas, you can see it visible alongside the other blank canvases in the level selection screen, only this time, you will be able to see a preview of how you colored it the last time you opened it up. This is shown in the screenshot below. 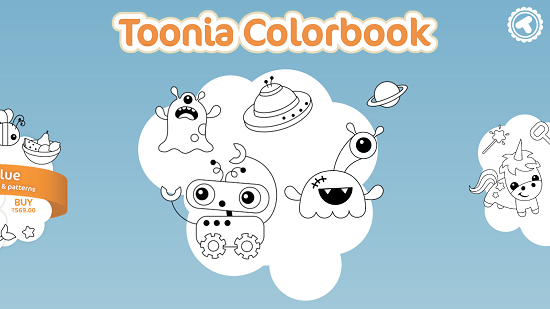 This is a wrap of the main features of Toonia Colorbook for Windows 8 and 8.1. Toonia Colorbook is a great game app for Windows 8 and 8.1 which allows your kids to practice coloring on blank canvases without even having a real coloring book at hand. The game is freely available from the link below.